The Speaker of the Lagos State House of Assembly, Rt. Hon. Mudashiru Obasa has described former Governor of the state and National Leader of the All Progressives Congress (APC), Asiwaju Bola Ahmed Tinubu as the founder of modern Lagos which has made the state a role model for others to emulate. Rt. Hon. Obasa disclosed this on Thursday in his goodwill message to Asiwaju to mark his 66th birthday in Lagos. The message was signed by the Speaker’s Chief Press Secretary, Musbau Rasak. According to the Lagos Assembly Speaker, without Asiwaju’s pioneering efforts at raising the standard of governance for the state, Lagos would not have risen to this greater height it is enjoying today. 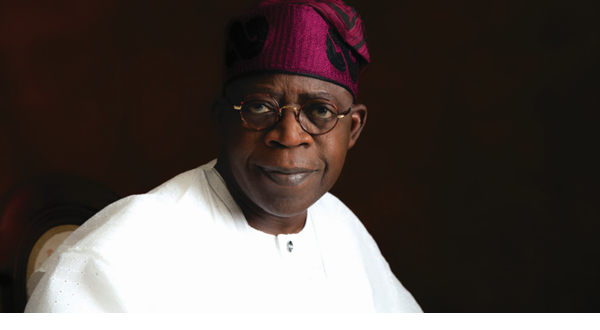 “Asiwaju combines his vision, ideas and leadership qualities to laid a solid foundation for subsequent administrations after him to build on and the result is what we have today – a modern Lagos that is moving rapidly from a mega city to a smart city; the fourth biggest economy in Africa moving towards being the third biggest economy in the continent. “His vision gave us Babatunde Raji Fashola, SAN, who performed well as Governor of Lagos State and now the indefatigable Akinwunmi Ambode whose performance as Governor of Lagos State for just a little over three has made him the number one state Governor in Nigeria making Lagos the role model for its counterparts not only in Nigeria but in the entire continent of Africa,” Rt. Hon. Obasa said. According to him, it is a credit to Asiwaju’s leadership quality and his ingenuity that gave him the courage that those who came after him will continue to build solid structure and the foundation he had laid. “Today, Asiwaju has written his name in gold and there is no doubt about the fact that Lagos history cannot be complete without Asiwaju, the architect and founder of modern Lagos,” he said. “On behalf of my colleagues at the Lagos State House of Assembly, I wish you more healthy years in the service of this great state and the country at large. Happy birthday sir,” the Lagos Speaker concluded.